Machi, இது Namma சென்னை ! December 9, 2015 11:26 am / 1 Comment on Machi, இது Namma சென்னை ! For a almost a month now, we have been soaking in rain and so much that it has been welling up all over the city. As November was closing, it seemed like the worst was over. Tuesday, Dec 1st, began like the day before, no rains. At 5am, i departed to the airport, scheduled to catch my flight out of the country. I reached the US, feeling extremely guilty. A deserter. The horror of situation had dawned on me very quickly. Saddened by the twist of fate. I was fortunate to have escaped the fury of the flood waters. I was altho’ unfortunately, far away from my home, and it was hurting most badly now. As i talk to people home the picture soon takes on ominous propositions. Again, my mind is thinking i should have been there, in Chennai. Internet, almost always being a curse, can be a boon every once in a while. And today the internet helped me visualize and feel how my city was grappling and confronting the deluge. Water had conquered most of Chennai, leaving only a few and sparse patches untouched. It had affected all of its people, the rich, the poor and everyone in the middle. There were tons of water, if you can measure it that way. Power and communication quickly capitulated; making it a double or triple whammy. The poverty didn’t just end there; food and drinking water quickly became a rare commodity. What defines a city? Its architecture, its climate, its transportation, its facilities, its natural surroundings; but the most important is its atmosphere. Sometimes also referred as its culture. This is nothing but a collective definition of its people. The richness of their heart, or the pollution of their minds. Singara Chennai suddenly has a new meaning. The last few days we saw this beautiful Chennai. In dark and dangerous areas, where ghouls wouldn’t dare; our youth lend their helping hands. First they saved us from the flooded homes and roads. They housed us and sheltered us from the pouring rain and menacing waters. Then they fed us with hot food, breakfast, lunch and dinner. Soon their warmth and cheer enriched our lives. Their touch and spirit of sharing and giving, sparking new hope. Don’t give up, reach out to me, let me grab you and lift you up. The Chennai, shone bright, with all its radiance, showered by all its people. I was miles away. Yet i was in the middle of it all. My heart melted many times over. My guilt eased as pride swelled in my chest. I am blessed to be part of this culture; Chennai. I am usually; what usually, i am always cynical. Specially about human beings and how we treat our planet. We are the worst of the species to inhabit a home and destroy it steadily, with full cognizance. But we are also the ones that can shower love amongst all and instantly make this world a better place. Chennai showed this to the world. I pray and hope we build on this emotion. The end, is nigh. Look no further. This is home and you have arrived. 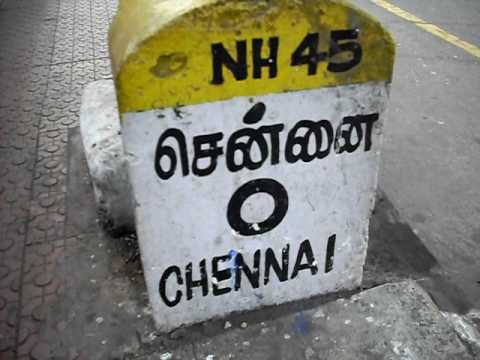 Machi, Ithu Namma Chennai! The Chennai marathon or actually the half-marathon was an eye-opener for me. This was my first attempt at running a long race. I had run 5K (5 km or 3.12 miles) before in the US. I had run 10miles, altho not in a race, on two earlier occasions. So this was going to be tough, but turned out, not what i expected at all. This was also the first race, i was participating in India, and so it offered opportunities to compare between races in the US and here. Well, this makes sense today, only because the organizers were trying to break the Boston Marathon record in terms of participation. So the marathon got off to a funny start, with the MC messing up statements in both english and tamil. It was quite funny, and it helped tho, easing all tensions one would have had running a big race. There were about 3-5 of us, really enjoying this chap and his comments. Then the guests, chief and otherwise, all added their bit of spice. Since things were comical now, anything anyone said seemed funny. What a mood to kick off the race. We started off, a little after 6:30am. There were huge number of people, and being one among the crowd it was difficult to count. My race took me exactly 3 full hours to complete. I couldnt take the heat, after crossing the 9km mark, and having had a bottle of water, i was also feeling heavy. I quickly slowed the pace, and was soon walking. Once you are in the almost given up state, it is difficult to get the body to kick start again. And i never did. The heat only added ammunition for my body to fight of any remaining will power. I was reduced to walking, jog, walking, jog, for the remainder of the 21km. A few good things about the support structure that helped the race. There were cops all along the route to help keep things under control and help with traffic and pedestrians etc. There were also limited but essential first-aid counter, specializing in physio-therapy etc. Now the bad. Not a single portable toilet at the start or anywhere on the route. It is rare that you would need to piss when you are perspiriing, but still biology is biology. Very limited water. The sun was up by 6:45, and shining hard. Water was plentiful in the beginning. It vanished from the 5K point till about the 8K point. Then there was far and few. It may also be, that they were only serving the ones that were doing good pace. Because as i was running i did see signs of water (bottles,caps,sachets etc), but no one around serving any more. By the time i was doing the home strecth from about the 15km down, water was completely missing. By now, the sun was bearing down hard. No wonder that there were more people breaking down and seeking help. More ambulances flying back and forth. All in all, it was a pleasurefull personal experience. However, i wish the organizers of the next one take more care. It was a weird sight this afternoon, returning to the office after an appointment outside, there were not many autorikshaws on the road. 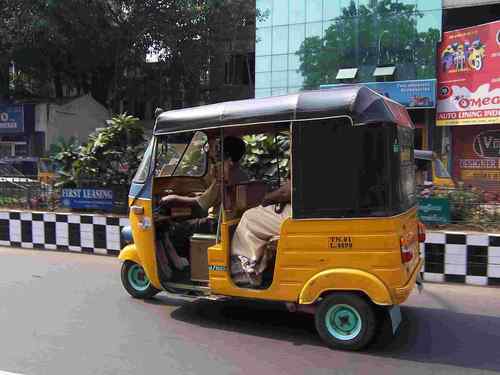 Autos as we call it here in Madras, seemed to be in short supply. Normally you would always see a swarm of them at every corner or even on the road sometimes. I waited for almost 5 minutes to stop one that was slowly cruising towards me. It was after i acquired this for myself, as my ride, that i learnt about the auto strike today. Apparently auto, trucks, and cabs were on strike to protest the increase in petrol prices. The petrol price was increased by the Union Government about a week ago,based on the international pricing. The price per gallon of oil had just recently touched 60$, and so the Govt felt necessary to shift some of the burden to the consuming public. The Govt had also been slowly dismantling the subsidies on Cooking Gas, Kerosene and Diesel. It is but natural, atleast as the current global thinking on privatization and globalization goes, to let the price move up and down based on demand and supply. But one thing that the people of who preach globalization and privatization dont want to admit is free movement of people. If everything were to be left to demand and supply, then let people also move to where jobs are available and where labour is paid more, so that they can pay more to buy these things that are produced by private companies. Back to the strike. What purpose did it serve ? Did it get the empathy of the people ? I am not so sure of any of these things. The Govt surely was the least bit bothered by it. The deciding authority sits in Delhi and they were busy attending a conference, so apart from enjoying the lectures and speeches there, and all the free food that would be floating around, there is no time to be affected or concerned by the strike in Chennai. Unfortunately, the auto drivers dont have a great following either, thanks to their regular and continuous harassment of passengers. 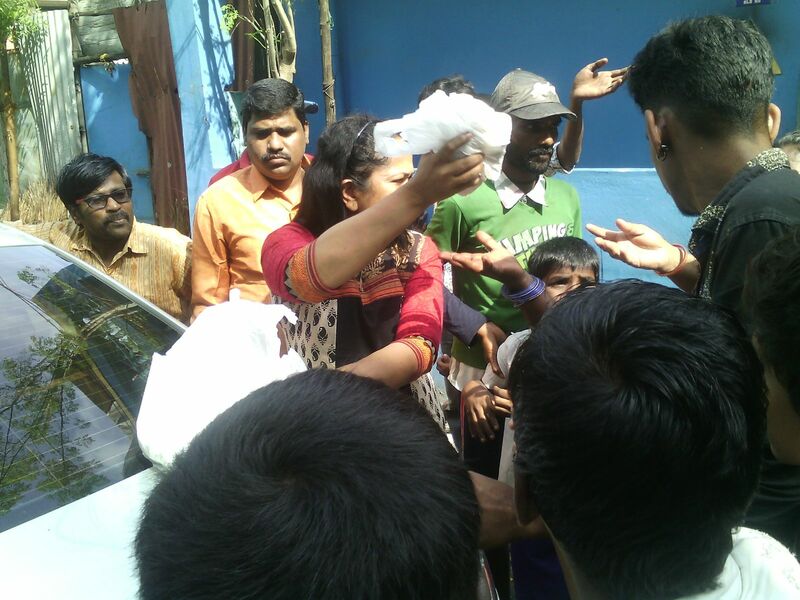 If you look at their plight objectively, you would realize that they too are a suffering lot. They are affected by privatization but cannot privatize themselves. They are more like a bonded labour class. And they have no other choice but to fleece. For people who talk privatization, they must also be able to perceive its full impact. Partial privatization doesn\’t help, partial globalization doesn\’t help. If we are to be truly governed by capitalistic morals, then let all barriers fall. This article was written on June 28th, posted on the 29th.